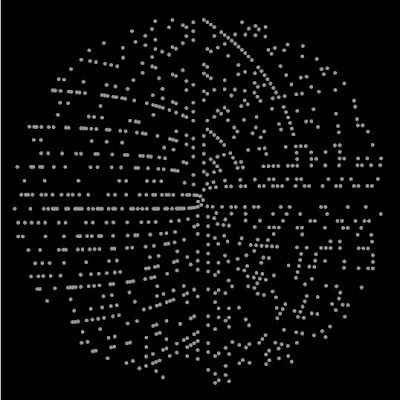 Since noticing this graphic, I've spent a little time contemplating the patterns you can make by connecting 12 dots that are evenly distributed around a circle (above: no lines, and all lines). Twelve dots around a circle has some cultural resonance - we still see them up on many walls keeping time. Feeling the pull of patternicity and agenticity, other people, more mystically minded than I, have spent a lot of time making patterns on zodiac circles that look a lot like the ones here. What really makes 12 so useful and open to this circle pattern making are all those divisors (1, 2, 3, 4, 6, 12), which contribute towards making 12 the smallest abundant number (6 is perfect because it is equal to the sum of its proper factors, 12 is abundant as the sum of its proper factors is greater than itself).